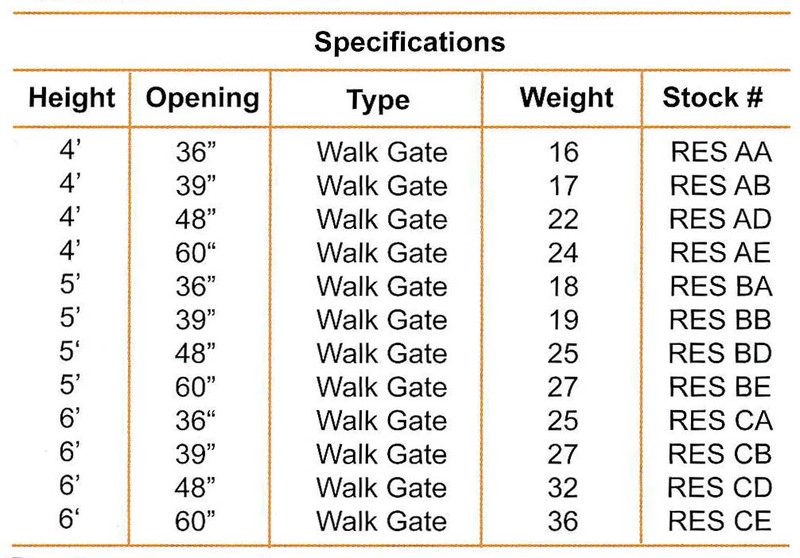 Galvanized steel bent frame chain link gates. Attractive rounded corner styling at top. Fabric is 12 1/2 gauge galvanized chain link attached with gate clips to 1 3/8" galvanized steel frame. Offered in three popular heights in walk gates and double drive gates. 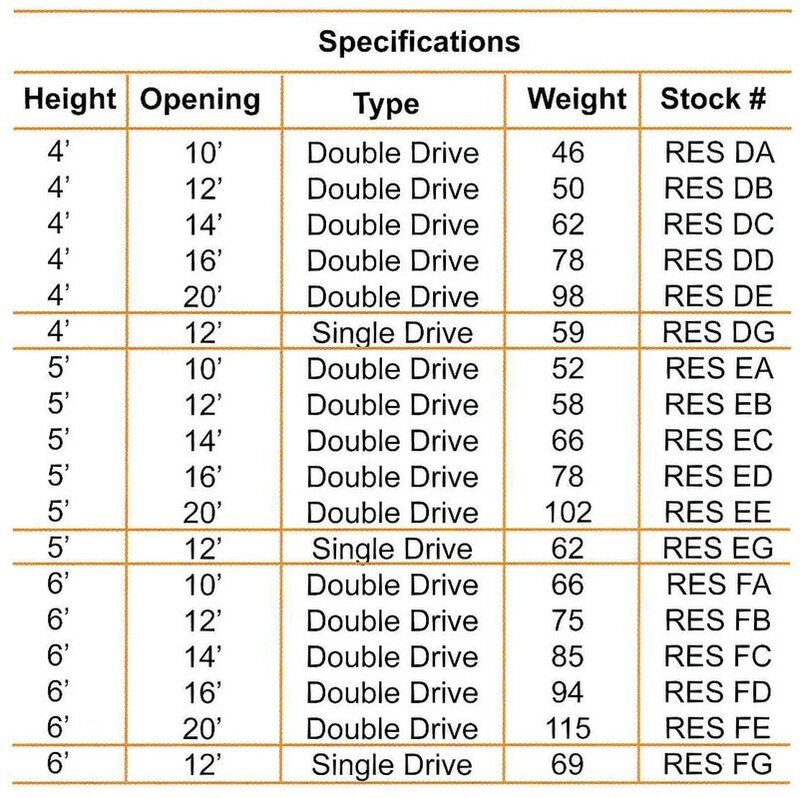 Order gate width by opening size. Actual gate will be four inches shorter to allow for hinges and latch hardware. 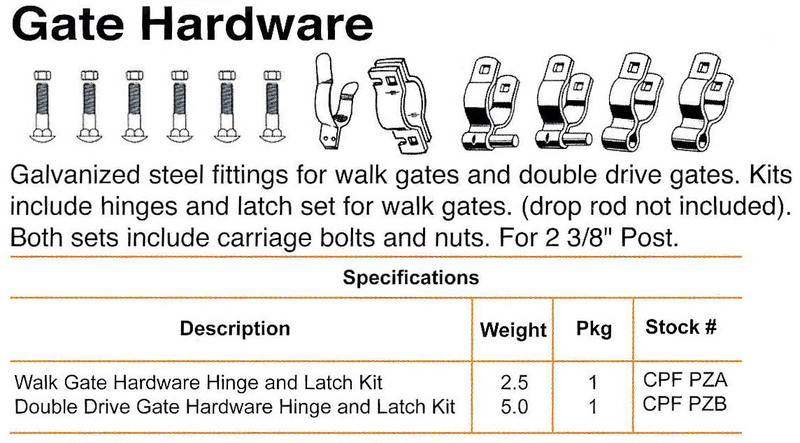 Hardware not included, order boxed kit or see chain link parts page.